The competition is fierce, and many players want a piece of the pie. We landed the contracts with Ørsted Wind Power in late 2015 due to our innovation ability. Thanks to creative work from our project department, close dialogue with Ørsted and the vessel designer, we proposed a tailor-made design based on an understanding of the customer’s workflow, Håkon Vevang says. The vessels function as support vessels for technicians working with the installation and maintenance of the wind turbines. The vessels capacity is 60 persons, of whom 40 are technicians from Ørsted and any sub-suppliers. 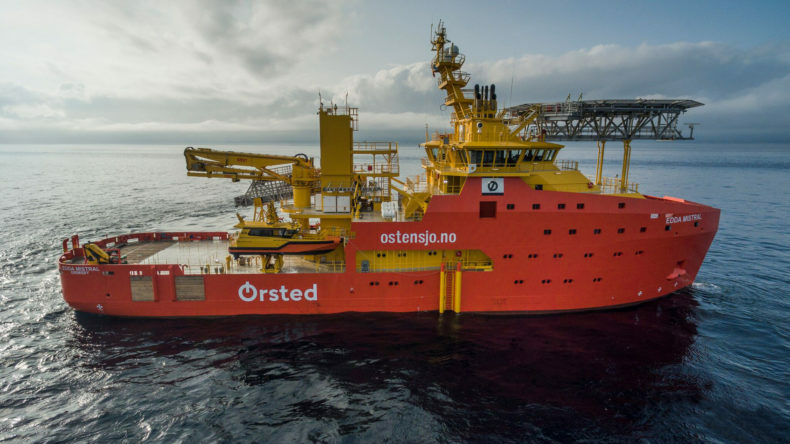 The contract with Ørsted (former Dong Energy) has a five-year duration and includes options for a further five years. – Offshore wind power is a relatively new and immature business. Customers in this market are therefore a bit different and more inexperienced, and they are all the more reliant on us to help them solve their challenges offshore. Our two first purpose-built vessels are perfect for this type of contract, Vevang underlines. – This is a market that will expand significantly over the next decade. Globally we’re talking about between 75 and 100 ships, new and converted. As part of the climate adjustment, electricity generation from offshore wind will be 30 times more than it is today. – Within floating installations, however, wind technology is still very immature, and it may take some years before floating installations can be delivered at competitive prices. For the moment we focus on bottom-fixed installations. Moreover, Vevang reports that other vessels in their fleet also operate in this market. Edda Fjord has carried out a number of jobs, amongst others for Dutch company NDE Offshore, Boskalis, Ørsted, and Belgian Geosea. Sun Enabler, soon to be Edda Sun, has worked for Ørsted, MHI Vestas, and is commencing for Fugro in March. Edda Fauna has also worked several operations in the renewable market. – The entire market is growing, and optimism prevails. It’s fun to be working in a market with such conditions, Håkon Vevang concludes. – Our concept is interesting, showing that we’re able to offer good, flexible and innovative solutions to operators in this market. In the years to come, we’ll see more offshore wind power licenses being awarded, he says. 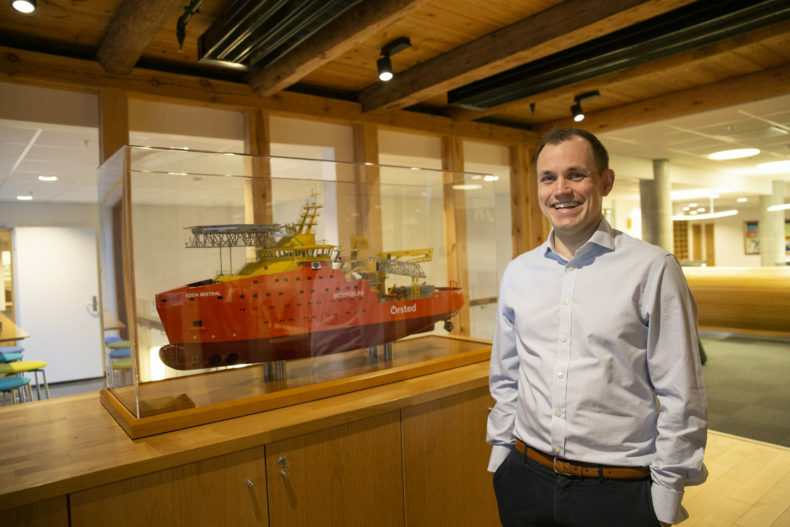 This entails jobs for the subsea business as well and undoubtedly represents a large potential for Østensjø Rederi. – We have a top-class product and competent crew delivering at a professional, international level of service. In other words, we have good opportunities for getting a firm footing in this new part of the offshore market, Lyngholm concludes.